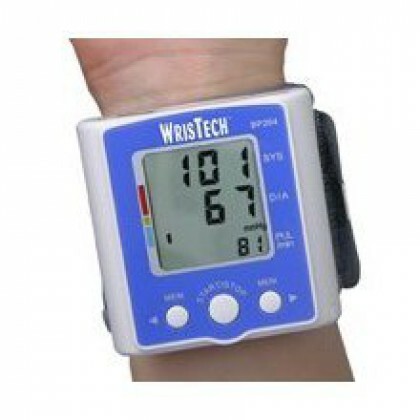 Know Your Blood Pressure With The Push Of A Button. Shows Systolic, Diastolic and Pulse Readings. Compact design fits over your wrist like a watch. Easy to use wrist style eliminates pumping. Stores 60 readings to monitor your health over time. Easy to follow instructions. One size adjustable cuff fits all.